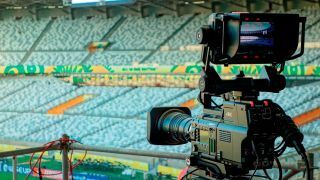 On Sunday 13 July, when the final whistle is blown to bring the World Cup to a close in the Estádio Maracanã and the fans start their journeys home from Rio de Janeiro, many supply chain practitioners will breathe a huge sigh of relief. Major corporations and businesses in the host cities of the World Cup in Brazil will have been preparing for the tournament from the moment it was announced that the country would host the world's biggest sporting event. They will no doubt also have been running rigorous planning and forecasting exercises over recent weeks to make sure they can capitalize on the opportunities that will open up to them, as roughly three million football fans descend upon Brazil over the course of the 32 day tournament. As always, the World Cup has unified people from all over the world for these unforgettable summer weeks. However, with fans from so many nations attending, and games taking place across such a wide geographical region, the experience is anything-but unified for businesses looking to make the most of the tournament. These companies need to be able to target potential customers based not only on their countries of origin, spoken languages and cultures, but also on the teams they support and the cities they are visiting. At the same time, they need to segment their supply chains to generate opportunities with as many of these fans over as short a time-period as possible. Lessons learned from previous major sporting events, and indeed previous World Cups, will have gone a long way in helping companies plan for this year's tournament. With the sophisticated planning algorithms that are built into the latest supply chain management solutions, they should already be well-prepared to make the most of the opportunity in Brazil – however wide or restricted this might be. Now is not the time to be looking for additional inventory of football shirts or whistles! For example, souvenir shops at airports across Brazil will in reality have just one chance to make a sale to incoming fans before they head to the stadiums. Strategic businesses will have spent months planning their inventory and sales tactics to make sure they maximise their opportunities at these critical moments. Effective management of the product life cycle is of the utmost importance in scenarios such as this, where retailers will need to ensure they have exactly the right products in the right place to appeal to fans in a very short time window. Of course, efforts on the ground during the event will not be so cut and dry. Just as nobody on earth can predict who will win the World Cup, companies cannot predict exactly how three million people will react as the tournament unfolds. Businesses can plan only so far ahead, and will need to able to react to changes in fan behaviour and consumption in near real-time if they want to maximise their revenues. Dominic Regan is Senior Director of EMEA Supply Chain Applications at Oracle. Stay tuned for part two of our World Cup series with Regan.